Here is a wine to rewrite the expectations about what the Portuguese varieties can achieve in Australia. The old vine whisperer – aka Dom Torzi – has managed to unearth 41 year old Touriga, Tinta Amarela and Tinta Cao vines in the heart of the Barossa at Stockwell, harnessing these old vine stocks to create a joven style red blend of absolute character and vitality. An awesome ink purple maroon colour, this is a really juicy and pithy young red, loaded with both blackberry and cherry ‘fruitiness’ through the mid palate with a typically tangy, yet utterly juicy finish. 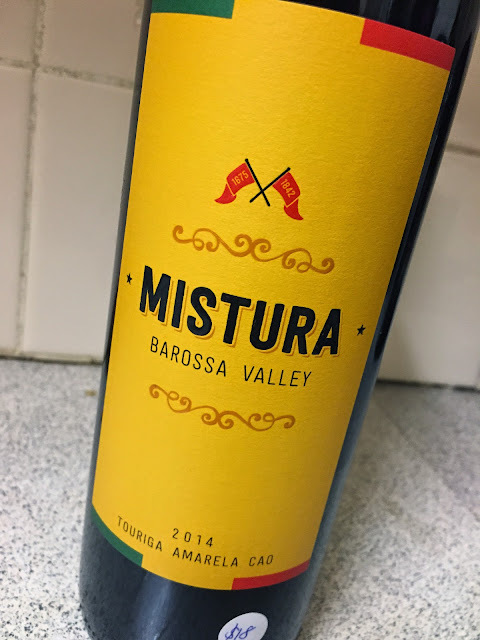 It’s not profound, but the intensity of flavour and energy here makes this utterly delicious – it’s just feels like drinking from the cask of a Dao producer transplanted to the Barossa. Admirably charismatic and juicy young red. Would I drink it? If I spotted this on a list somewhere with a predilection for chorizo I’d be jumping.